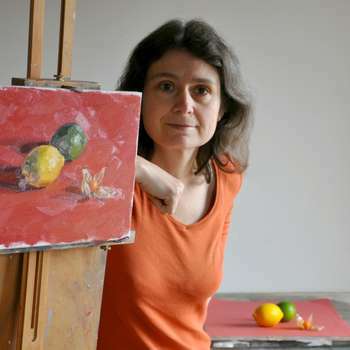 I am a landscape painter who enjoys returning regularly to the intimacy of the still life. The peaceful relationship with the subject is conducive to concentration. I paint “alla prima” from life and in natural light. It magnifies the most simple and familiar objects and casts subtle shadows in which I like to find multiple colours.